If you are Welsh and have even the faintest interest in rugby you’ll know exactly what this picture is all about (just in case you don’t have read about why Allain Rolland was right). This isn’t a post complaining about referees, they are just like the rest of us, struggling to cope with the reality of ‘what we write down is different to what happens’. What has prompted this post was reading a referees report about an incident that generated three red cards in a single game. I was watching my son play in the game; thankfully he wasn’t involved in the incidents. I’m not questioning the referee’s decision, it’s absolutely right that they clamp down on dangerous behaviour. It does however prove the point that what gets written down in formal reports is frequently different to what happened. “I proceeded briskly to the disturbance and attempted to restore order with a few sharp blasts of my whistle”. Really? To me looked like you ran over to the fight, flapping your arms around and shouted “Oi!….. Boys leave it out”. Had he done so, he would have punched himself in the face, at least twice. In a more serious vein, a while back I heard Professor Harry Daniels from Bath University speak about learning as a socio-cultural process . He used an example from multi-agency working in health and social care about what happens in the field is different to what is written down in files back at the office. The gist of what he said was that when the front line practitioners were faced with rapid fire situations they frequently did things to achieve a positive result or solve the problem, not unusual. On occasions this positive action was novel or innovative, and outside of the organisations rules framework policies and procedures, again not unusual. However, when the practitioner got back to the office, and they wrote their notes, they did it in a way that reflected the rules framework and not what actually happened. Not whole scale altering the facts, but forcing information into the organisations framework and systems. This was something that was recognised through the organisation. The practitioners knew this was happening, so did their managers and just about everyone up the chain of command. It’s just the way things worked. This example struck a chord with me. It’s exactly what I’ve done myself and seen plenty of other people do. You encounter a problem in the field, fix it, then you write-up notes to reflect what the organisational system requires, rather than what actually happens. There are some significant issues here like the loss of learning and transfer of knowledge from developing innovative and novel solutions in the field. If these solutions don’t find their way into the notes, how on earth do they get shared? Perhaps through people informally meeting and talking to each other, social learning, but that’s the subject of another post. Report writing is selective and can also be influenced by the requirement to fit in with the organisation’s processes and systems. The loss of learning and knowledge can be significant if alternative methods of transfer are lacking. The gap between ‘field and report’ can be significant in formal reporting. If Rambo Llewellyn was that good, he wouldn’t be playing rugby for us, he’d be in the Olympic boxing team. Very interesting. 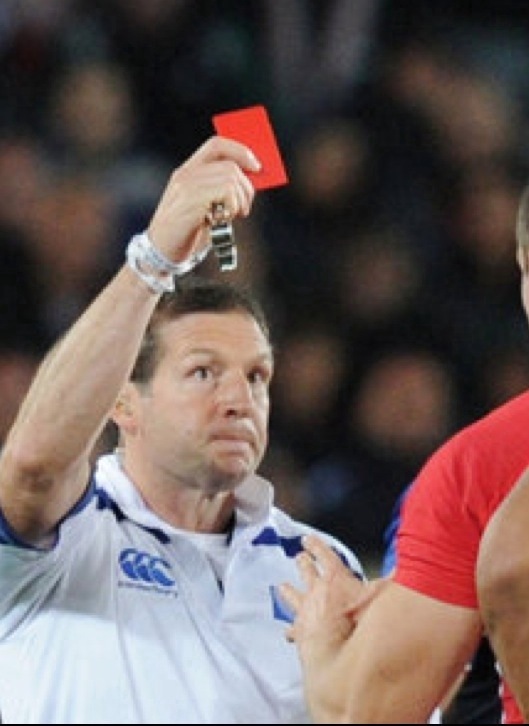 Have you read the citing report into the Dylan Hartley biting incident? There is a really great line that attempts to explain how even though Ferris’ and Hartleys accounts of the incidents differ greatly it didn’t mean that both parties weren’t attempting to tell the truth to the best of their abilities. However the speed of the interaction, and the subconscious need to justify their actions (Ferris in running off and making a complaint whilst not admitting that he had been grabbing at Hartleys face in the first place and Hartley in performing the action of biting) leads to two very different versions of the truth. Thanks Chris, I’ve had a look at the report. Certainly a bit more detailed that what you get for an under 16s match in the Valleys. My favourite line is….”the committee acknowledges that in rugby matches there are murky areas of unpredictable dynamic”. Not surprising you end up with different versions of the truth. Also….”Mr Rowntree had volunteered – insisted – that he should come to the hearing…” An offer you couldn’t refuse. Thanks Pippa, funny thing is that everyone seems to recognise the situation, yet we (well some) dont seem to want to change it. But surely this is how human history is recorded? Another fine tradition rumbled, I feel! isn’t there that quote that says that the victors write the history? Was reading an article in the Western Mail recently where it was talking about Welsh industrial history and how that is recorded, particulary the copper smelting past of the lower Swansea Valley. They were saying that despite it being hugely important it is not recognised (as it should be) in the industrial history of Britain or Wales where eyerything starated in 1760 and the records are a bit Merthyr centric (not a phrase you hear much these days).